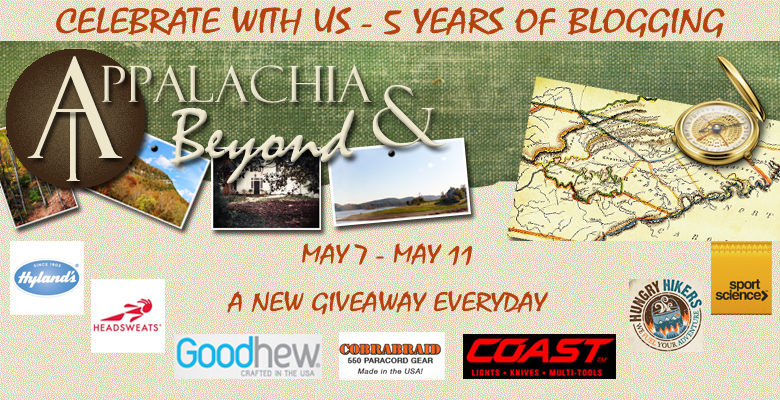 We've had a wonderful Blogiversary celebration over the last couple of weeks, complete with sweet giveaways and several winners of those packages. We will get those out in the next few days so be on the look out for your prizes. For our fans and readers who didn't win, we're sorry but thank you so much for your loyalty and for participating, if not for you guys we wouldn't have a reason to do this as much as we do and for that a big THANK YOU to you all. 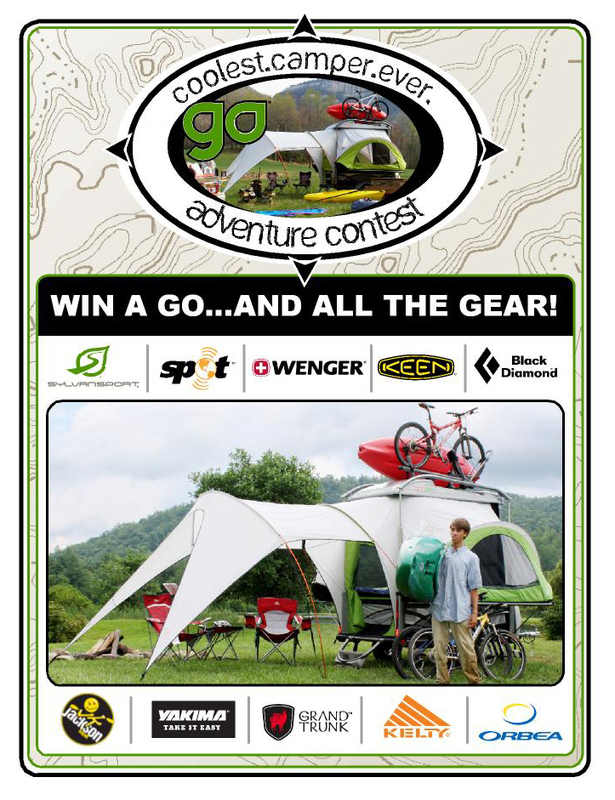 And since you all love a good giveaway, we would like to remind everyone of the current Coolest Camper Ever contest that is still open at Sylvan Sport. "All right adventure folks, there's just two weeks left to enter SylvanSport's Coolest. Camper. 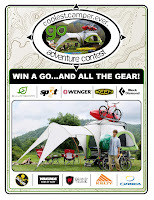 Ever AdventureContest for your chance to win a SylvanSport GO and gear packages from the best outdoor companies out there including Yakima, Kelty, Keen, Black Diamond, Wenger, Jackson Kayak, SPOT, Grand Trunk Goods, and Orbea. Have you heard of the SylvanSport GO? This all-in-one pop up camper and gear hauler is literally blazing new trails because of its versatility, efficiency, and light weight--You can pull a GO behind virtually any vehicle including your Subaru, Prius, or even Mini Cooper. ENTER at our contest homepage, and in 400 words or less tell us what you would do with a GO and all the gear from our sponsors. Share how you'd document your adventure too. The three best essays win thousands of dollars worth of gear and a GO for a three month adventure tour. Do the best job documenting your tour and you keep the GO itself and win bonus gear!"